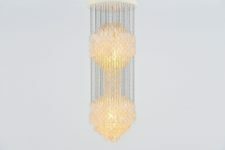 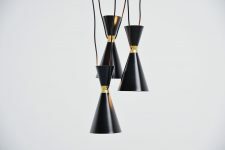 Extra large pendant lamps / chandeliers designed and manufactured by Glashutte Limburg, Holland 1970. 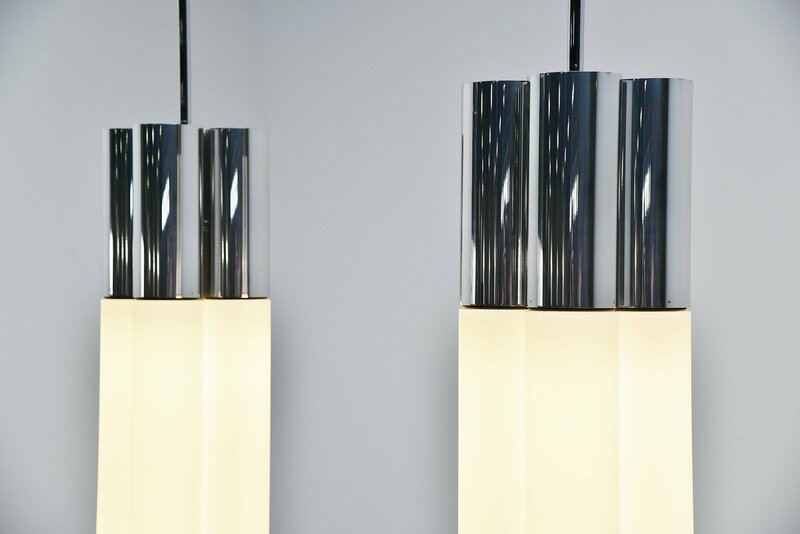 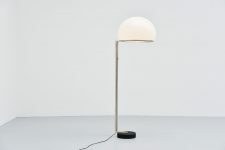 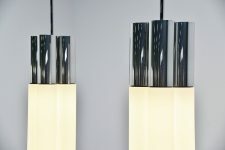 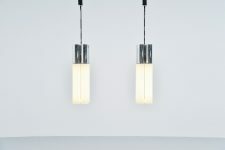 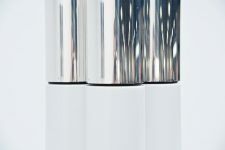 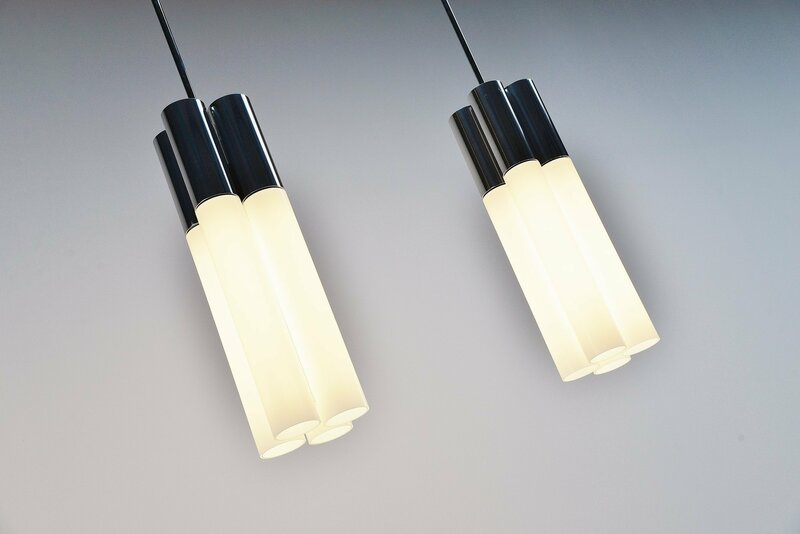 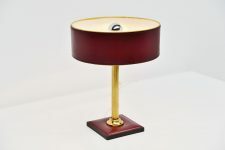 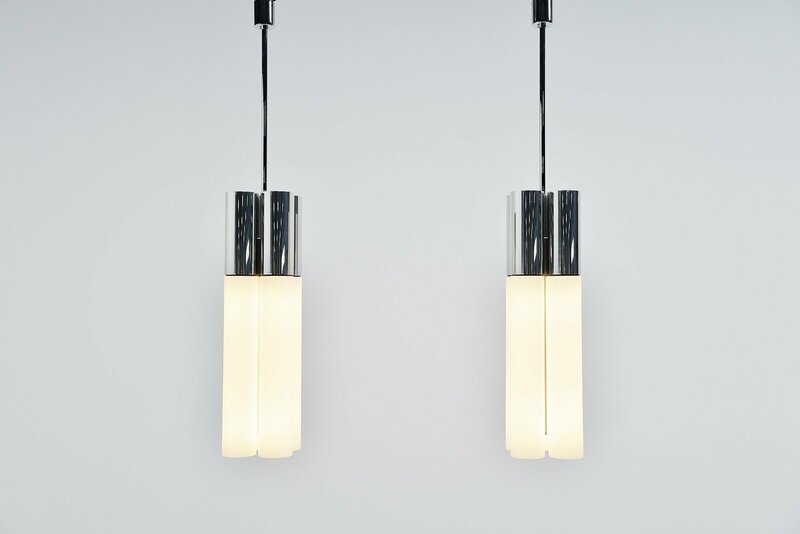 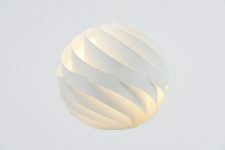 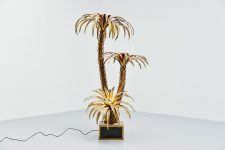 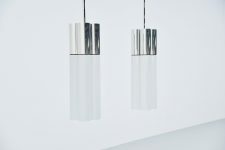 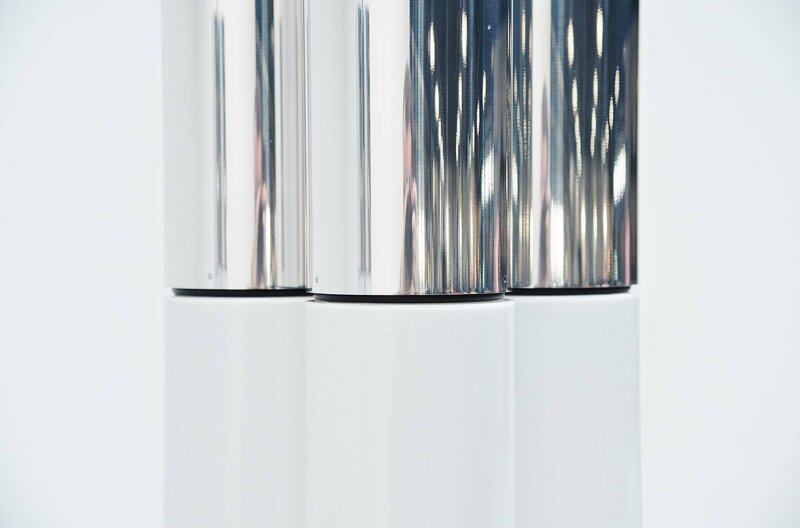 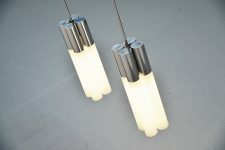 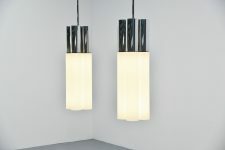 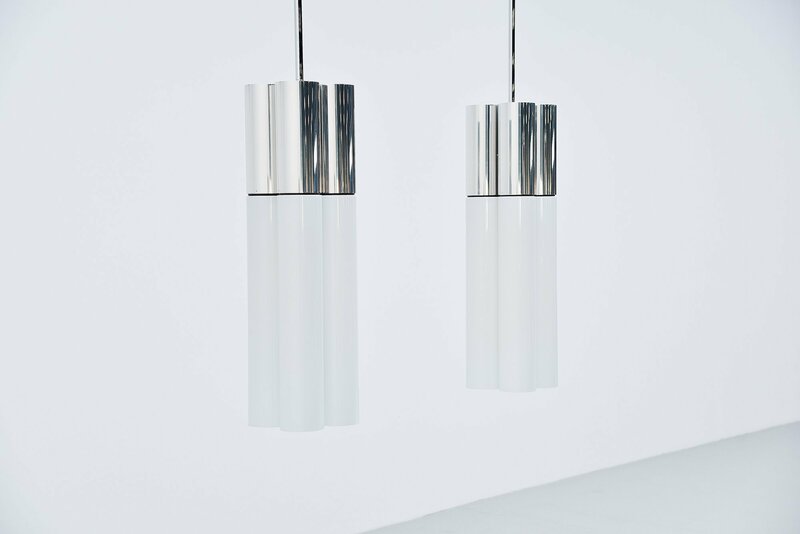 These lamps are made of chrome plated metal frames and have white milk glass tubular shades. 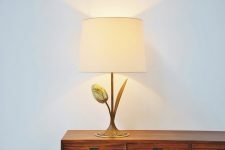 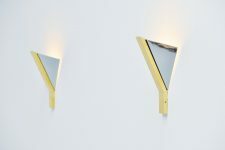 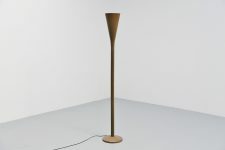 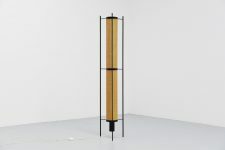 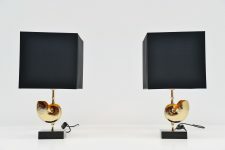 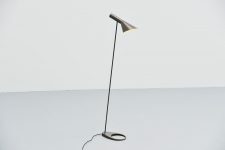 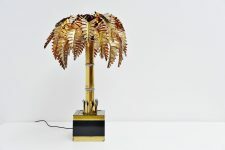 These amazing large lamps have a fantastic minimalistic shape and would look amazing in a large building or high ceiling livingroom. 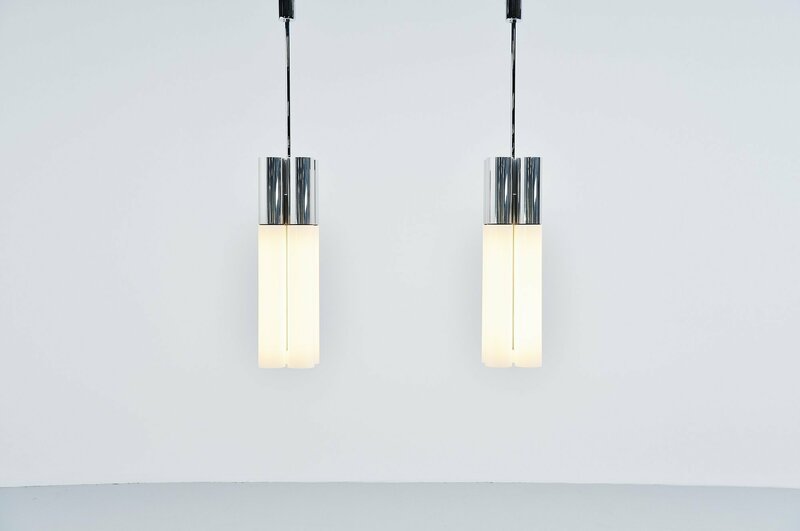 The lamps are all in good condition without any chips or cracks to the glass. 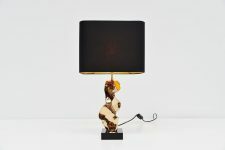 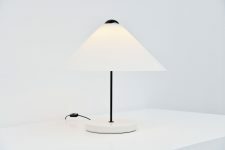 Lamps come with working PL lamps and give very nice warm light when lit.